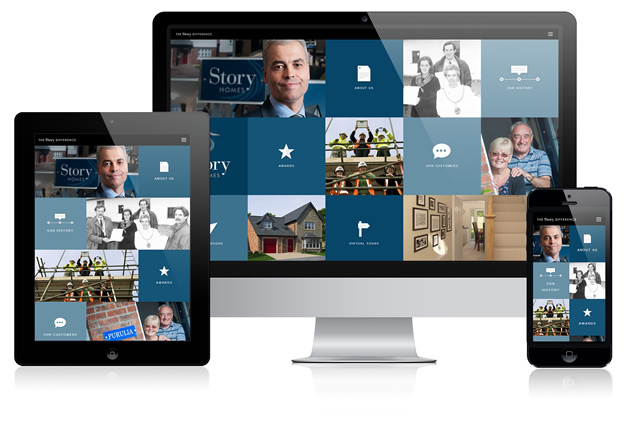 We are delighted to announce the launch of the Story Difference, a new section of the Story Homes website that is dedicated to promoting everything that is unique about the business. Story Homes pride themselves on the quality of their product and commitment to exceptional customer service. With this in mind, they tasked Union Room with creating a bespoke area of the website which would help users find out about these brand values and what makes the business stand out from their competitors. The Story team sourced a range of new content for the Story Difference, including family photographs from the 1980’s and newspaper cuttings from the 1990’s. The microsite also features a considerable amount of video footage, some of which was shot specifically for use on the website. Story’s attitude of producing unique content for users, such as 3D fly throughs and video, allows users to explore the Story product before visiting a development. This keeps the website relevant and ensures that users can find important information quickly and easily. The website features a range of content to showcase Story Homes’ product. This includes virtual tours of the properties, 3D fly throughs of developments and an interactive timeline which tracks the history of the business. The Story Difference will continue to grow as the team adds new content, ensuring users are kept to up to date with the latest goings on at the business. 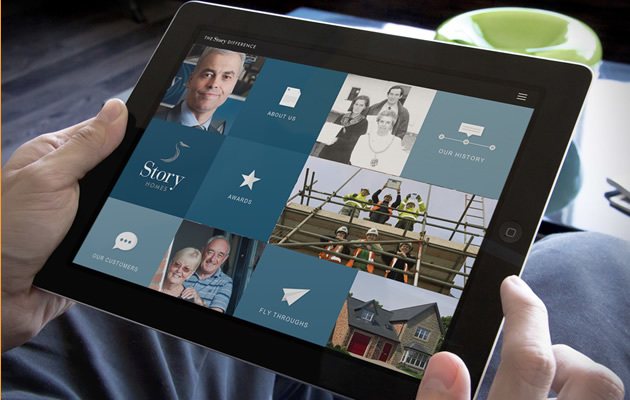 Visit the microsite at www.storyhomes.co.uk/the-story-difference and be sure to let us know what you think.